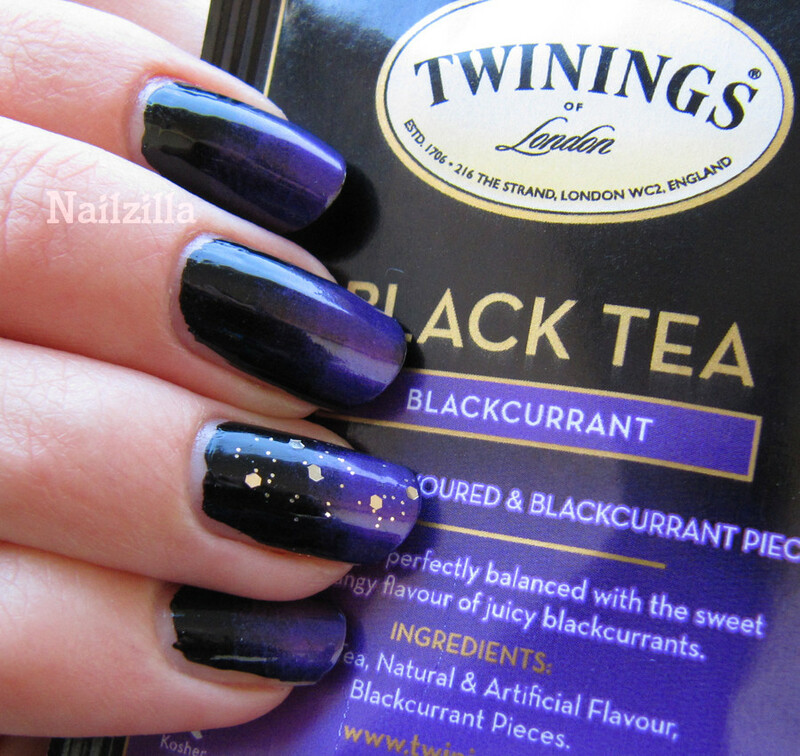 NailZilla: Tea themed gradient nails! Yes, tea in bags is not the best tea, but this particular one is so good and yummy I just cannot resist. I love their other teas too, like Lady Earl Grey and normal Earl Gray. I've been meaning to do this for a while and I'm floored by how it turned out. Colors used: WnW black creme and NYC color - prince street. Gradient was done by dabbing a makeup sponge in layers and letting it dry inbetween. There's a picture with some nice golden hex glitter as an accent. Wow, I am loving gradients more and more these days. how did I miss this one? it's elegant and beautiful!